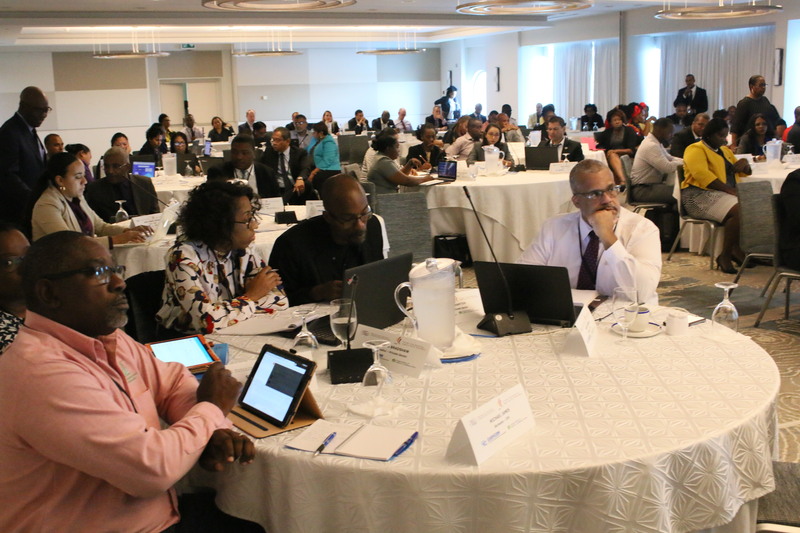 Approximately 108 representatives of Border Agencies and the Private Sector from CARICOM WTO Members and Observer countries participated in a Regional Capacity Building Workshop on the WTO Agreement on Trade Facilitation, organized by the WTO and CARICOM Secretariats, in Saint Lucia from 28 January to 1 February 2019. The Workshop, which focused on border agency co-ordination and co-operation, was facilitated by regional and international experts from the Caribbean Agricultural Health and Food Safety Agency (CAHFSA), Inter-American Institute for Cooperation on Agriculture (IICA), International Trade Centre (ITC), World Organisation for Animal Health (OIE), United Nations Conference on Trade and Development (UNCTAD), World Bank Group (WBG), World Customs Organization (WCO) and International Trade Centre (ITC). 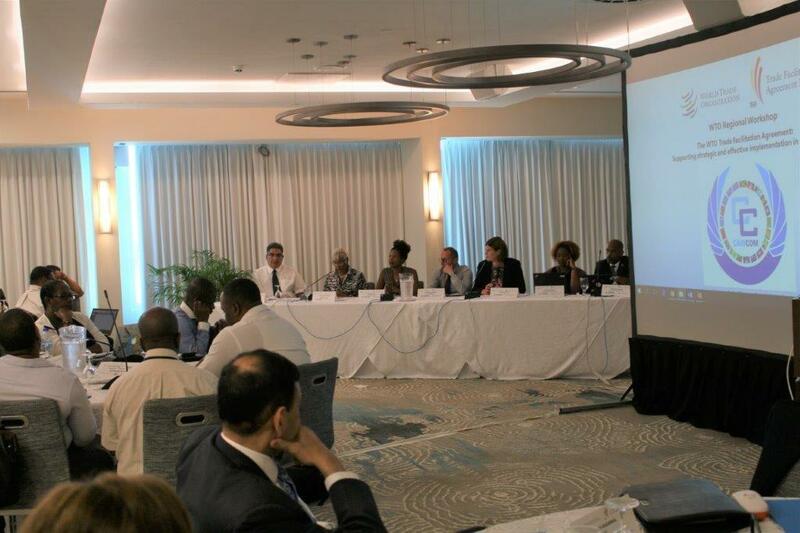 Ambassador Gail Mathurin, Director General Office of Trade Negotiations (2nd left at Head Table), addressing regional and international donors and development partners at a Donor Dialogue during a Regional Workshop on the WTO Trade Facilitation Agreement (TFA) for CARICOM countries, organized by the WTO and CARICOM Secretariat on 31 January 2019 in Saint Lucia. The Donor Dialogue was attended by representatives from the CARICOM Development Fund, Caribbean Development Bank, UK Department for International Development (DFID), The European Union Delegation to Barbados, the OECS and CARICOM and the Caribbean Regional Technical Assistance Centre (CARTAC). It’s main aim was to mobilize donor support for implementation of the CARICOM Strategy for Regional Implementation of the WTO TFA by CARICOM countries.